It’s official – housework makes men happier. 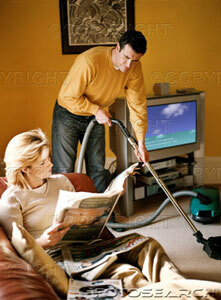 Scientists at Cambridge University have proved conclusively that doing more housework makes men happier. Professor Jacqueline Scott and her ace team of academics based their research on data from the European Social Study, which surveys 30,000 people in 34 countries. They found that men feel happier and domestic arguments are reduced the more male partners take on chores around the home.